Step 1. Grab a CAD file from the Sketchup 3D warehouse. A great one is the SR-71 model. Step 2. 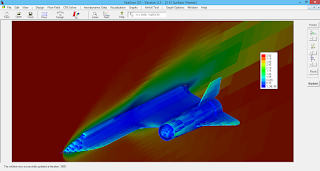 Convert it to .stl format and read it into Stallion 3D. Step 3. Have Stallion 3D solve the Navier-Stokes equations at Mach 3.5 (1,200 meters/second). Step 4. Walk away for 3 hours (if you are using a 2 GHz laptop and 500 k cells) and return to find the "answer". 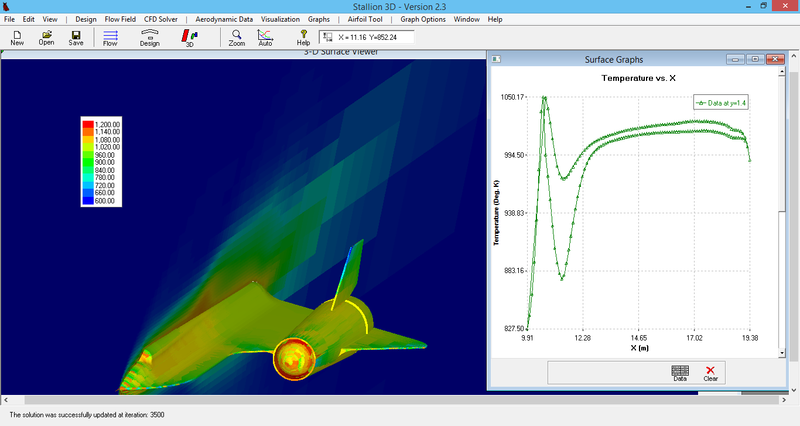 Pressure on the surface of the jet as rendered in Stallion 3D with HIST. 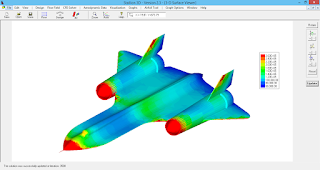 program can also solve the compressible Euler equations. Yes. It gets hot on the surface of a supersonic jet flying at sea-level as speed more than the speed of sound. The temperature can become as hot as 770 degrees Celsius on the surface. 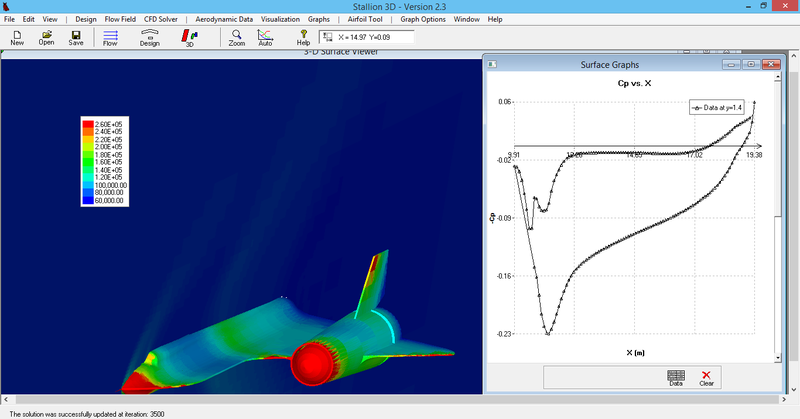 Temperature on wing section near the fuselage of the jet. 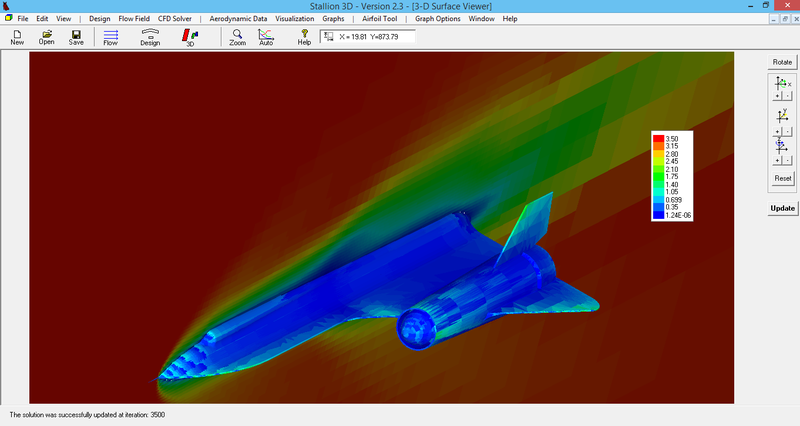 Stallion 3D with Hanley Innovations Surface Treatment (HIST) along with Hanley Discretization (HD) solves difficult problem once only tractable with countless days of grid generation and super-computing time. And guess what? It solves them in just a few hours on ordinary laptops and tablets computers. More information about Stallion 3D can be found at http://www.hanleyinnovations.com. Please call me at (352) 240-3658 to further the discussion.